Join us for our KFN Speaker Series event on November 2nd from 12:00pm - 1:30pm. Come for an unique oportunity to engage in dialogue with professors about current Kellogg financial research initiatives, including the Economic Policy Uncertainty Index, which provides clues about the current topic of how politics might be shaping the economy. You will gain insight from the academic side, have the opportunity to share your view points and engage with other members of the KFN community, including our host, Phil Friedman (KSM '80), Perella Weinberg Partners. Scott Baker form the Kellogg School of Management developed the Economic Policy Uncertainty Index along with researchers at Stanford and the University of Chicag. The index is used as the basis for research by economists and finance experts looking for connections between political economic uncertainty and different parts of the economy. The KFN Speaker Series provides opportunities for all Northwestern and/or Kellogg alumni who are members of KFN and work in finance related positions to learn from interesting speakers while building and strengthening relationships in an intimate group setting. These events represent a valuable opportunity to meet with KFN Advisory Board members with distinguished careers while connecting with other members of the Kellogg Finance Network. Scott Ross Baker is an Assistant Professor of Finance. His research is concentrated in empirical finance and macroeconomics. He is currently engaged in a variety of research projects regarding household finance, the effects of policy uncertainty on financial markets and growth, as well as the effects of unemployment benefits on job search intensity. Recent work examines the impact of household leverage and credit constraints in driving sensitivity to both income and asset shocks during the Great Recession. 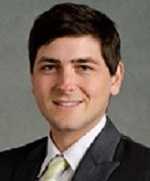 Scott joined the Finance Department at Northwestern's Kellogg School of Management in July 2014. Scott was born and raised in San Diego, California and received B.A. 's in Economics and Political Science from the University of California, Berkeley in 2007. He received a Ph.D. in Economics from Stanford University in June 2014. Michael Fishman is the Norman Strunk Professor of Financial Institutions and was Senior Associate Dean: Curriculum and Teaching from 2011-2014. Professor Fishman has published widely in finance and economics. His research focuses on financial market regulation and contracting. Recently, he has investigated insider trading, disclosure regulations, the role of self-regulatory organizations, and long-term financial contracting. He has won a number of research awards including the Smith Breeden Prize, awarded by the American Finance Association. He co-edited A Primer on Securitization (MIT Press, 1996). Professor Fishman has been on the editorial boards of a number of finance journals. 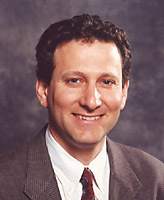 The graduates of Kellogg's Executive Masters Program chose Professor Fishman for the Outstanding Professor Award in 1995, 1997, 2006, 2007, 2008, and 2009. He received his Ph.D. in Economics from the University of Chicago.